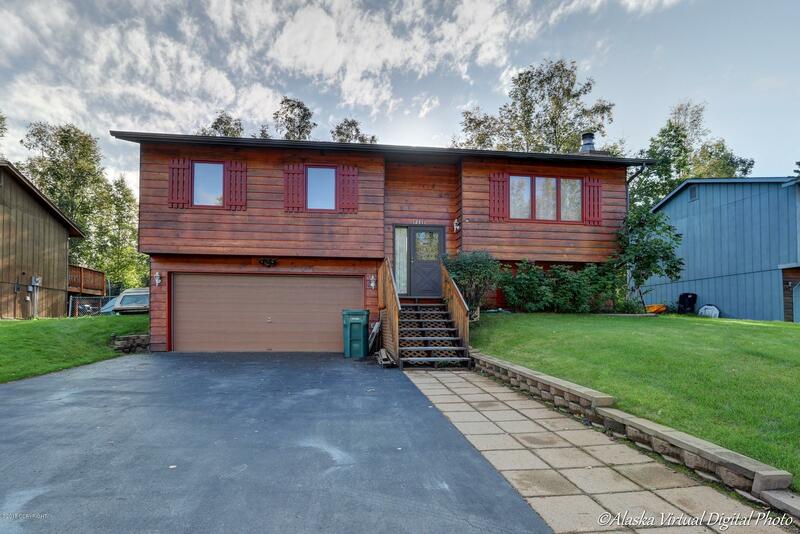 Well maintained Cedar Sided home w/Vaulted Ceilings. Beautifully Updated Kitchen w/solid surface countertops, 5 burner gas stove. FP w/tiled accents. Newer Carpet upstairs. Newer Furnace and WH. Upstairs Remodeled Bath, Gar w/workbench & shelving. Landscaped, Fenced, Storage Shed w/carport. NO active HOA, All appliances stay.